Due to the fact that electricity is such a constant part of our daily lives, it’s easy to take it for granted. It feels comparable to the sun shining over our heads or the moon coming out at night. Many tend to adopt the same attitude towards electricity as they do towards the sun and moon: “It’ll take care of itself”. After all who ever heard of a sun technician? But having that sort of attitude to electricity can be dangerous, even fatal. Every year, thousands of people are fatally injured and suffer damage worth billions because of a lack of electrical safety knowledge. According to Electrical Safety Foundation International, electrical outlets and receptacles alone account for more than 5,300 home fires, over 100 injuries and at least 40 deaths every single year. The sun may take care of itself, but the electrical wiring in your home won’t. If you want to ensure that you get to enjoy the perks of electricity in a safe home, you have to see that it’s properly maintained. How do you go about it? We thought you’d never ask. 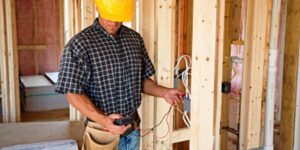 This ultimate guide to conducting and passing your electrical safety inspection shows you everything you need to know about getting that “pass” mark. What’s the point of an electrical safety inspection anyway? Having an electrical safety inspection done on your home might seem like a bother but try not to see it that way! Ensuring that the electrical safety inspection is conducted periodically and properly is extremely vital for your family and property. Electrical surges are a common phenomenon in much of the United States. They can not only ruin your appliances but also create short circuits in your house, leading to fire that can cause severe property damage. The US Fire Administration reported that property owners in the US suffered more than $23 billion in property damage from fires in 2017. The majority of the fires were caused by cooking, electrical malfunction and faulty appliances. A simple 2-hour electrical safety inspection would, however, reveal all the possible points in your electrical wiring that a short circuit can occur and take care of them. Electrical wiring does not last forever. Due to wear and tear, it deteriorates along with its associated accessories. This deterioration can lead to nasty experiences such as electric shock or fire. In such situations, either a guest in your home or someone in your family could get seriously injured or even die. According to the US Fire Administration, there were more than 1.3 million fire incidents in the US in 2017. Of this number, 364, 300 were home fires and 6.5% of those fires were caused by electrical malfunction. The law also mandates that you keep your house safe, especially where it concerns guests. Apart from this, many US states have local legislation that requires all homeowners to maintain certain electrical standards in their homes. Failure to maintain the required standards can result in stiff sanctions such as fines. Periodic electrical safety inspections can help ensure that your electrical wiring and appliances are up to the applicable standards. If a fire breaks out in your home and spreads to neighboring property or if there’s an electrical incident and someone gets hurt, you could find yourself paying far more in damages than you would have for a simple residential electrical inspection. All these reasons just go to emphasize the fact that having your household wiring inspected periodically is absolutely vital. In this next section, we’ll go over what the inspection will involve. What do electrical safety inspections entail? An electrical safety inspection refers to a thorough checkup of all the electrical connections, wiring and appliances in your home. It’s like having the doctor come over to give your home a thorough once-over. Usually, the inspection would be conducted by an electrical inspector duly authorized/certified in your municipality. The inspector will be responsible for conducting a full check of your house to ensure they comply with the National Electrical Code (NEC). The National Electrical Code is part of the National Fire Code series published by the National Fire Protection Association. Although it is called “National”, the Code is not actually a federal law, or a law in any general sense. It is however adoptable and has been adopted by several US states. Once adopted, the Code becomes a part of local law so that failure to adhere to these standards will be sanctioned. The inspector would usually examine your electrical installations and give them a “pass / fail” depending on whether they are up to standard. They would also provide a report on the overall condition of your wiring. For an average-sized house, the entire inspection and testing process takes between 2-4 hours on average. How long the process takes would, however, depend on the size of your home and any additional buildings on your property. Is it possible to conduct the safety inspection by yourself? There’s no law that says you can’t do a full residential electrical inspection by yourself. After all, if you have the know-how and confidence to pull it off, there’s nothing that says you shouldn’t. However, ensuring that your home electrical installations are up to the standards in the NEC can be a bit technical. Due to the nature of the Code and the need for utter familiarity with its content, electrical contractors usually get certified to show their experience and qualification in respect of the code. 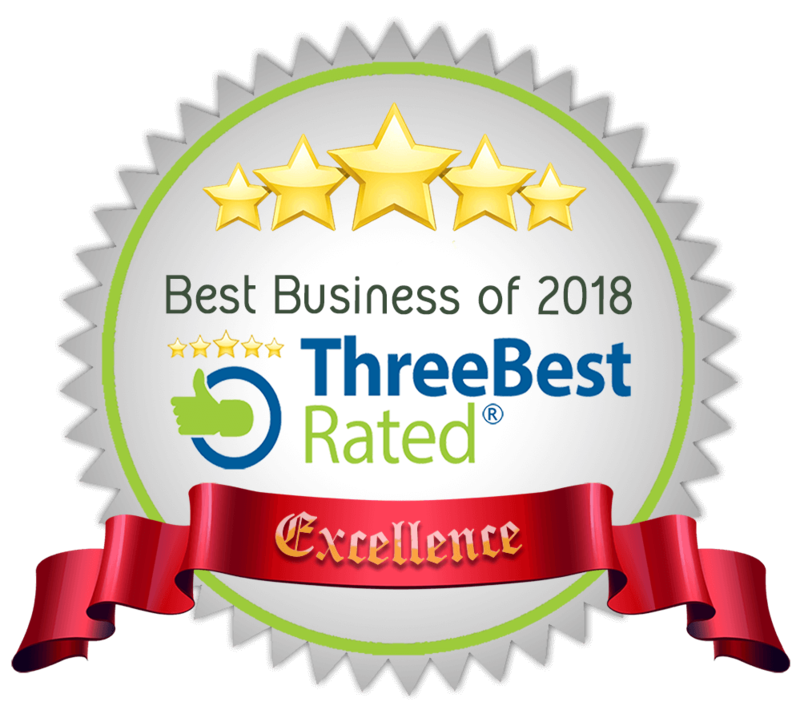 So, while you can do the electrical inspections by yourself, it is of great importance that you rely on licensed, knowledgeable professionals (like us, at Right Electrical Services) to do a thorough job for you instead. What determines if you get a Pass / Fail? Under the NEC, there are requirements that your home must pass. These requirements are safety standards that have been tested and determined to provide the best protection against fire and electrical hazards. They have also been adapted to ensure that your home is adequately equipped to handle today’s modern electrical needs. This is why the NEC is being constantly updated. Since the Code was first introduced in 1975, there have been a total of 15 revisions of its standards. These revisions have ultimately proved their worth, having helped reduce home electrocutions in the last 40 years by a whopping 83%. Whether your home will get a pass or fail depends on the version of the Code that is in force in your state. The latest version is the 2017 revision but not all states have adopted this version. For instance, the version in force in Pennsylvania currently is the 2008 version of the Code. Here in North Carolina, we adhere to the 2017 revision. For any of our readers out of state, you can check here to see what version is in force in your particular state. These circuit interrupters are required because they can help reduce residential electrocutions. They essentially work as circuit breakers that trap electricity and prevent it from harming someone in situations where there’s an overload. The Consumer Product Safety Commission also attests to the need for GFCIs. It found that up to 50% of residential electrocutions have been prevented by GFCIs. Arc faults are the most common cause of electrically related fires. They were first required in 1999 and have been required ever since. The Consumer Product Safety Commission estimates that 50% of electrical fires can be prevented by AFCIs every year. This requirement aims to protect your kids from potentially dangerous electrical incidents. A study by researchers at Temple University found that all 2-4 year olds are able to remove the plastic outlet caps on sockets within 10 seconds. The TRR standard helps provide a permanent solution to injuries that can result from non-tamper proof covers. 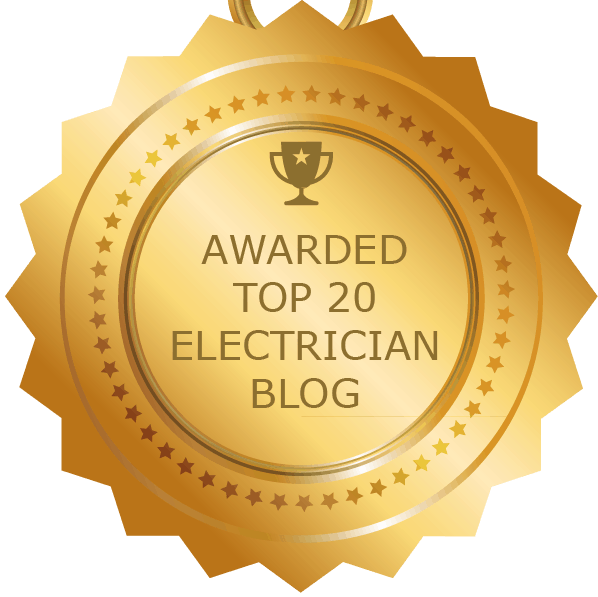 If your home does not have electrical installations that comply with these standards and more, you could find yourself with more than just a “fail”. Don’t want to get that “fail”? Here’s what you need to pay attention to. Preparing your home for an inspection may seem like a daunting task, but it doesn’t have to be! At Right Electrical Services, we want to make the process as painless as possible! Our home inspection checklist will not only ensure that you pass your residential electrical inspection with flying colors but also protect your family and property. Take out a pen and start ticking! Are your outlets warm to the touch? Do they make sounds, like buzzing or crackling, when you plug appliances in? Do plugs fit snugly into the outlets? Is your furniture arranged so that you don’t need to use extension cords? Is there any discoloration or charring on your outlets? Do you detect an unusual smell like burning plastic or fish near your outlets? Have you installed TRRs in your home? When last have you checked to ensure they are all in good working condition? Are your light switches working properly? Are you using the correct wattage for your light bulbs? Do you have light switches close to every door and at both ends of every hallway? Do you have enough light switches? Are your light switches discoloured? Are they loose to the touch? Is there an unusual smell around them? Have you experienced flickering lights? Are your extension cords rated properly for indoor or outdoor use? Are there cracks, frays or other damage on your extension cords? Do the cords display wires? Have you used any of the extension cords for more than 30 days? They should only be used as a temporary measure and never for heaters, air conditions or other powerful appliances. Does the extension cord feel hot to the touch when it’s in use? Are any extension cords stapled or nailed to the ceiling? Are your extension cords rated to meet or exceed the power demands of the appliance they are connected to? Do you have GCFIs and ACFIs installed in your home? Have you tested your GCFIs and ACFIs within the last 30 days? Do all the outlets in your kitchen and bathroom have GCFIs? Have you replaced all your traditional circuit breakers with ACFIs? Do you have smoke detectors installed on every floor of your home and every bedroom? Have you tested the smoke alarms within the past 30 days? Do you have Carbon Monoxide (CO) detectors installed on every floor of your home and outside every sleeping area? Have you tested your CO detectors within the past 30 days? Is your oven free of combustibles including paper, plastics and towels? Have you cleaned your oven, range and exhaust hood within the last 6 months? Have you checked the back of your refrigerator for debris or dust on the coils? This can reduce energy efficiency and create a fire hazard. Do you have any kitchen appliances near the sink or other water sources? Are all of your kitchen appliances plugged in to GCFI outlets? Are any wires too close to heat producing sources like a toaster or oven? Does your washer/dryer move erratically when in use? Have you ever received a shock from any of your appliances? When last have you had your electrical panel checked? Are your circuit breakers labelled properly? Are they properly connected to the circuit/outlets/rooms in your home? Do you have problems with circuit breakers tripping? Do you have problems with fuses blowing or not working properly? If your answer to any of the above is “No” then you may have a problem with your electrical installations. If you notice any of these things, we have your back! Call us at Right Electrical Services for an electrical safety inspection and code correction all of which you can find more information about on our electrical code correction page. How often / when should you carry out an inspection? There is no general requirement for how often or when you should carry out an electrical safety inspection, but they are highly recommended to be performed on a regular basis. You should make sure you call an inspector if any of the following applies to you. In this case, your electrical installations and wiring is fairly old by now, especially if you have not had regular safety checks. You need to schedule an inspection immediately and have regular inspections performed afterwards. It is extremely dangerous to continue without regular home inspections in a house with such old electrical installations. Depending on what the electrical safety inspection turns up, you may need to overhaul your entire electrical system to bring it up to date with more recent standards. Generally, it’s good form for you to insist on a complete electrical safety test when you want to purchase a pre-owned home. If you didn’t insist on one, then you should make sure to get one done immediately so there are no problems that blindside you later on. In the case of an entirely new home, you should still insist on a full electrical safety inspection before completing the deal. Renovation, especially when it involves adding or removing sections of your home, can affect your electrical installations. Wiring and circuits are of the most commonly affected. Smoke detectors can also be affected due to accumulation of dust. Make sure you schedule a full electrical safety inspection as part of your renovation. And if you have completed the renovation, don’t let any more time pass before you schedule an inspection. There are two reasons why you would need an electrical safety inspection in this instance. First, you need to make sure that you don’t have any lingering problems in your electrical installations that might affect the appliance adversely. Second, your wiring system may be inadequate to cope with the new appliance. You may need to tweak your system or upgrade it to accommodate, especially if you’re installing a powerful appliance. Flood, fires, and earthquakes can all mess with your electrical systems. There would often be breaking of wires or blowing of fuses and important circuits, resulting in an overload. If your home has recently suffered any damage of this nature, you want to make sure you call in a safety inspector pronto. Generally, you should conduct monthly checks on your appliances and installations like smoke detectors. You can carry out this test by yourself by simply pressing and holding the test button on your smoke detector. If the siren activates loudly, your smoke detector is in functioning order. If the sound is weak or nonexistent, the batteries should immediately be replaced. You should, however, ensure that you carry out a comprehensive electrical safety inspection at least once every 10 years for a private home and once every 5 years for a rented home. Take the Safety of Your Home Seriously! Safety is very important. When you’re dealing with electricity, you must err on the side of caution. Even better, you don’t have to break the bank either. Trust our licensed professionals to conduct a comprehensive electrical safety inspection for your home. Don’t wait until flickering lights result in a full blown overload. Schedule an electrical safety inspection today!